I’ve been working in the healthcare field for over thirty years. I’m a mental health provider, focused on the impact illness has on our physical, emotional, and spiritual lives. When I started this blog, my intention was to share my insights and experiences as both a provider and a patient. If you’ve read any of my blog posts or gone to my website (www.gregkatz.com), you know I’ve had an autoimmune disease most of my life. In addition, I’ve nursed many animals with varying degrees of illness and written about their journey. Over the past eighteen months, I’ve been enrolled and graduated with a graduate certificate in Health Humanities and Ethics. It has opened my eyes to many unanswered questions for both patients and providers about their experiences in healthcare. My classmates came from all healthcare arenas. Our discussions punctuated the challenges of working in healthcare because of finances, policy, research, insurance, access, and a host of other dilemmas. It has expanded my understanding of healthcare and made me a more informed and sensitive provider. As I relaunch this blog, I wanted to share the direction I’m headed. This year I’ll write about my experiences personal and professional. I’ll explore how we can address doctor/patient relationships for optimal health. I’ll share reviews of books related to both patient experiences and those of healthcare providers (educationally and in practice). One of the key areas I’ll address this year is the concept of “legacy”. What are we leaving behind? How will we be remembered? What are we doing to improve our own situations and those of others? I’m excited to explore these topics. I’ll be sharing interviews with individuals showcasing personal experiences of illness as well as the handcuffs felt by many providers as they try and reconcile the realities of medicine with their intention for entering the field. I hope you’ll join me on this journey and participate in the conversation. Your voice is important because it’s about what we have in common, not what divides us (sound familiar). I want all voices to be heard around the table because this is how we can advocate for what’s needed, what’s right, and what heals! If you’d like to share your story (patient or provider), please email me at greg@gregkatz.com! I watch a lot of interviews because I believe they give a behind the scenes look at people’s lives and circumstances. It’s similar to what Andy Andrews shares about autobiographies, no one ever wrote an autobiography who didn’t succeed. The same can be true for interviews, only those who overcome challenges (I’m not referring to celebrities, it’s all walks of life) get interviewed. Jake Gyllenhaal’s new movie “Stronger” about Jeff Bauman who survived the Boston Marathon bombing was the focus of the interview. When asked about his process he shared advice from an acting teacher, “The target draws forth the arrow”. What do you think about when you read that statement? It shouldn’t be a surprise that when I heard the quote I jumped for a pad and paper because these words of wisdom will make you think about how you take on life’s challenges. When faced with a life challenge, especially a chronic or life-threatening illness there is a primary target…wellness! It’s similar to the saying Keep Your Eye on the Prize! When we have a target to focus on, we are given something to aim our physical, emotional, and spiritual energies. The doctor gives us the target. The moment you hear the words “I’m sorry to tell you but…” you become an arrow. You are summoned to take aim and make conscious decisions. It will take the momentum you absorb from friends, family, medication, and faith to propel yourself toward the target. There is something empowering about picturing yourself as an arrow, moving with force and speed toward a desired outcome. My ongoing reminder is, you may not get well, but you can always get better. 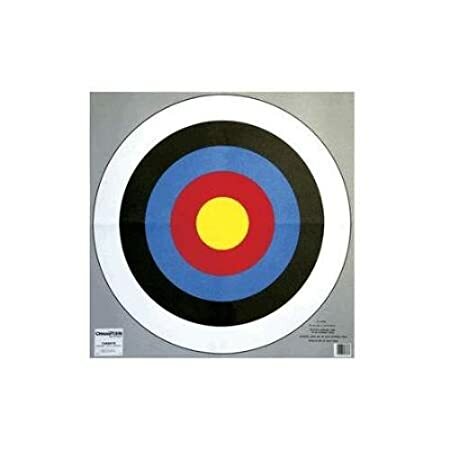 Remember a target has rings with the bulls-eye in the center. What do the outer rings mean to you? What if you don’t hit a bulls-eye the first time or ever? What level of comfort do you have focusing on other aspects of your life if wellness isn’t in the cards? I hope when picturing yourself as the arrow, you equate it with being a real-life superhero. Your journey is unique to you! The outcomes may or may not be within your control, but where do you have control? You have control over your determination, perseverance, and attitude. You have the right to create a relationship with your doctor that is both respectful and honest. We will all have targets that arise in our lives because challenge is part of the human experience. The arrow you become shapes your narrative. Your narrative is the force behind your momentum…keep it going! We live in tumultuous times and it’s scary waking up every day with so much uncertainty in the world. The truth is, even when things are in alignment politically, socially, and atmospherically, the person we are is always in the uncertainty zone. How is that possible? We’re complex beings physically, mentally, and spiritually. If you look around your community, watch the news, or truly listen to the stories told by your friends and family you come to understand the depth of our complexity. Unfortunately, along with complexity comes fragility, that sliver of vulnerability that exposes our human Achilles heel. My father called me a couple of days ago and opened our conversation with, “You know I’m at an age where a lot of people I know are dying.” If nothing makes you vulnerable (at least in your own mind) mortality usually creates an emotional and spiritual gash in our armor. It makes everything frighteningly real. It exposes our imperfections while simultaneously accentuating our strengths. We greet one another with the age-old question, “How are you?” What are we really asking? If you ask the question, are you prepared for the truth? I like the question “How does it feel to be you right now?” It’s a question of connection. It gives the person you’re connecting to the ability to be in the moment. It gives each of us the opportunity to understand what it’s like to live in the body, mind, and soul of another human being. I was involved in an ethics discussion about the interaction between doctors and their patients. We were exploring the idea of empathy. When we have these discussions, the debate is often about sympathy and empathy. Noted anthropologist, and one of my mentors, Angeles Arrien expanded the continuum. Her research and experience shared that sympathy amplified suffering because it emphasized the pity we felt for the another. Sympathy often comes from the vantage point of “better you than me”. When we’re empathetic, we end up doing the work for the other person, letting them off the hook because we take on the pain. However, if we feel compassion we don’t have to go into the emotional state of the other, but we can be totally present. The state of presence is healing. Where are we going with all of this? I want to be present with you. I want to know what your life is like right now because it’s your true story. When you share how you are right now there’s an aliveness we can experience any other way. Let’s shift our perspective and begin asking this very important question and see how our experiences with others change and deepen. Valentine ’s Day is right around the corner and stores are displaying merchandise and cards for the occasion. I started thinking about the messages sent by some of the big companies like Ma Bell and Hallmark and what’s been lost with the invention of Facebook and other social media. Ma Bell wanted us to “Reach Out and Touch Someone”, and Hallmark told us buying cards, “When You Want to Send the Best”. These two company taglines spoke more, to me, than just about commercialism, but how we interact in the world. I’ve watched the number of birthday cards dwindle significantly over the past four years. I used to have a mantle full of cards, and now it’s down to a select few. Don’t get me wrong, I get plenty of Happy Birthday messages on Facebook, but it’s different. We no longer have to plan on how we interact. We are now able to wake-up in the morning and see who we need to send a birthday wish, congratulate for an achievement, or commiserate about a dilemma. What happened to sentiment? Have we lost the ability to connect more than electronically? I sent out a bunch of cards today because there are people who I haven’t spoken to in a while that I wanted to send a special message. I want to appreciate certain people who have supported me, kept me in the loop of their lives while I’ve been traveling the country. It gave me an opportunity to say I took the time to spend a few minutes devoted to connecting with you. I know I may be a bit over the edge, but social media has left too many people connected to others with only a dotted line, and they’re still lonely. When going through difficult times we need to make those phone calls, send those calls, and show that we’re making an effort and that this person matters to you more than just a count on your Facebook page. Illness, divorce, death, financial struggle to name a few are life events that require deeper connections to emerge with a sense of peace and to have the ability to continue on life’s pilgrimage!